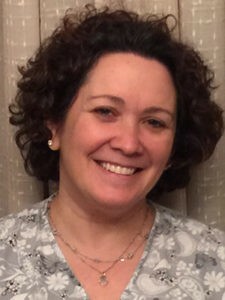 Dr. Joni Marcus graduated from Temple University School of Dentistry in May 1998. She joined the dental practice with her father that summer. “The best training you can have is from someone who wants you to do your best and help the families that have been with the practice for so many years”. She works in all the procedures in the office, from gum care to emergencies, crowns and dentures, but her favorite things to do are exams, where you can get to know the patients and help them on the best path to good dental health. Because there are so many patients that are nervous about dental care, she took specialized training in sedation. The office offers nitrous oxide (laughing gas) as well as conscious sedation for extra nervous patients. She is a member of Alpha Omega Dental Fraternity, The Pennsylvania Dental Association and sits on the board of the Temple Dental Alumni Association. To Dr. Marcus, the best part of the office is getting to work with her father, brother and sister and the many long term staff members, who all try and make coming to the dentist a comfortable, family feeling. I’m Doctor Harold Marcus. I opened this practice in 1962 as a true mom and pop business. I am now proud to have my daughter, Dr. Joni Marcus at my side as well as my other two children, Rebecca and David working in the office together. 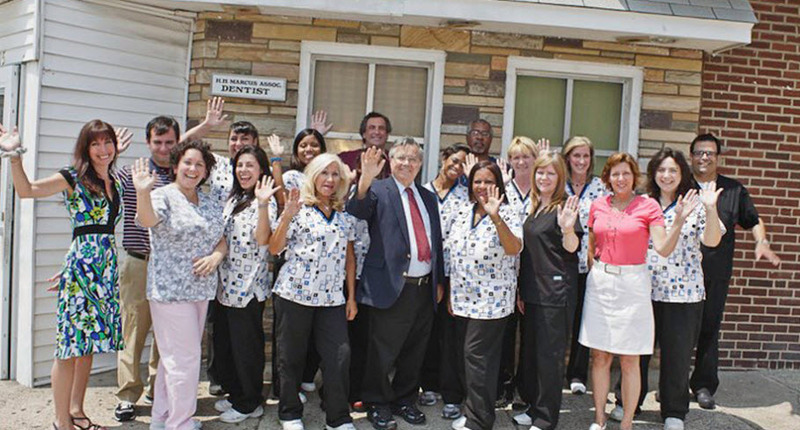 We have families with four generations of happy patients. In 1985 I was awarded a Master’s Degree from the Academy of General Dentistry for having completed over 1,100 hours of Continuing Education. All of our staff stays on top of the latest techniques and procedures so we can bring you, the patient, the most up to date treatment. We look forward to having your family meet our family and let us provide you with the best dental care that you deserve. Hello, my name is Dr. Ramsey H. Chew, Jr. I was born and raised in Philadelphia. 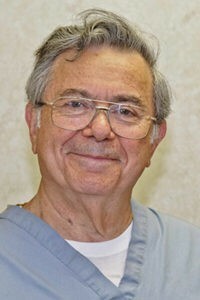 I went to Central High School, Williams College, and University of Pennsylvania School of Dental Medicine. One of my favorite things to do in dentistry is to turn apprehensive patients into calmer patients who are not as fearful. I am a member of Kappa Alpha Psi Fraternity and the Boy Scouts of America. I enjoy sailing and model railroading.